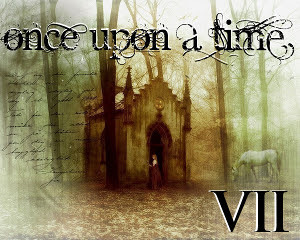 This is the Review Site for the Once Upon a Time Challenge VII. Please leave links to any of the book or film/tv posts you put up on your blog for items related to the challenge. If you stumbled across this and wonder just what this is all about, please follow this link and check it out. We would love to have you join us. Oops! I pressed enter too soon. This is a review of Lavinia by Ursula K. Le Guin. Now I'm looking forward to checking out others' reviews. Ditto on Deb's comment ... I am posting a reaction to Ransom Rigg's fantasy novel called Miss Peregrine's Home For Peculiar Children ... so many great books to check out here! i love this event Carl! Thanks for hosting it ! Thanks, Carl, I enjoyed going out of my comfort zone and will be checking out all these great reviews in the coming days. Back again with a reaction to The Child Thief ... but... why so few comments? This really isn't a site to comment on so much as it is for folks to link their reviews. The comments are generally reserved for the site of the review.